Most of us have a vague, abstract concept of life beneath the sea. But a few men and women are dedicated to brining the secrets of the deep into the light of day. 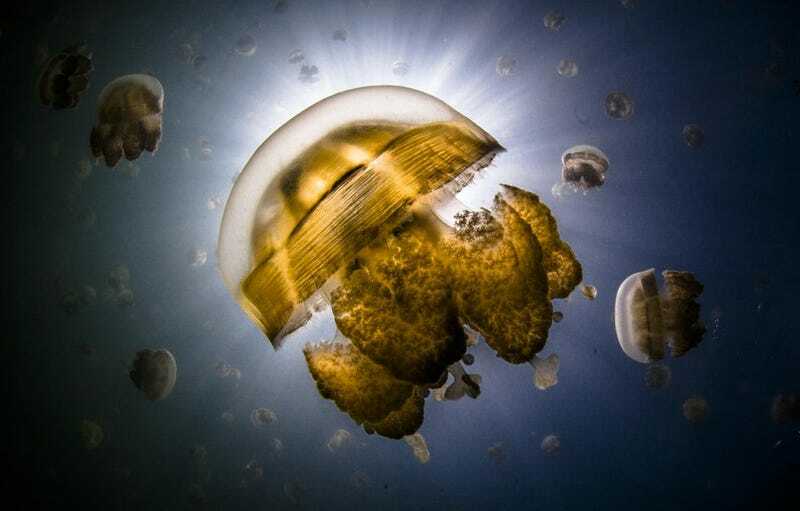 And as the 2015 Ocean Art photography contest shows, they’re doing a spectacular job of it. Ocean Art is the most prestigious underwater photo competition in the world. Organized by the Underwater Photography Guide and judged by a panel of experts, this year’s contest saw over $70,000 in prizes handed out to 75 photographers, for winning shots in any of a dozen categories that include wide angle shots, macro photography, and DSLR. From crustaceans in heat to eels devouring octopi, the photos are as diverse and beautiful as the marine ecosystems that cover 70% of our planet. If there’s one conclusion that can be drawn from this year’s Ocean Art winners, it’s that despite all of our technology and ability to explore distant worlds, the oceans remain a surreal, astounding, and utterly alien place. We’ve collected a few of our favorite shots below. For the full breakdown of winners in each category, plus the stories that accompany each photos, check out the UW photography’s website.